While working in Adobe Photoshop, you can manipulate your document in a variety of ways. Certain tools allow you to select pixels based on color (magic wand tool) or edge similarity (quick selection tool). You can adjust pixels with color, gradients, patterns and textures. For more broad-reaching changes to an image, you can also use adjustments, which correct an image imperfection such as brightness, contrast, hue, saturation, color balance and more. Adjustments can be made in destructive or non-destructive ways. A destructive edit in Photoshop alters the pixels of the document permanently. While you can use an immediate undo or reverse your action through the History panel, once you close the document and leave your Photoshop session, you will not be able to fix the pixel changes you made. Conversely, a nondestructive edit method would allow you to keep the original image, make your changes and then be able to return later and remove or modify the nondestructive edit as necessary. So, when adding an adjustment, you need to consider which method is most appropriate. 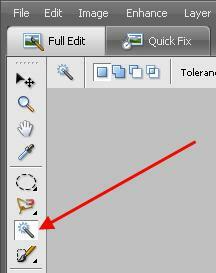 An adjustment through the image menu will affect only one layer as a destructive edit. The advantage is that it only affects the single layer while leaving the others untouched. However, the disadvantage is that this type of destructive edit is permanent. If you use an adjustment layer through the adjustment panel, the adjustment will be added above a specific layer and affect all layers beneath it. This method may have a broader reach by correcting more layers, but it is a nondestructive edit method. In general, designers like to use nondestructive edits as much as possible because of the long-term flexibility of the edit. Other nondestructive edits to consider incorporating into your Photoshop work are smart filters and smart objects. These are designed to work in a similar nondestructive way. Every design project in Photoshop has different circumstances and requirements. I would highly recommend you try to use nondestructive edits in your projects whenever possible and enjoy the flexibility that these methods have to offer. Please use the form below to request information on our available courses, custom training options, or other services. We are here to help...so let's get started! Fill out the form below to request more information about Not All Photoshop Edits are Created Equal or to request information on customized individual or group training sessions.